needed to complete the year. If you could give me the amount for each child up to the grade 6 that would help me a lot. Also shipping costs for each order. My Comments: I'm not sure if you are mistaking me for a curriculum publisher. I just review products and write a few of my own ebooks. As far as the costs for homeschooling, parents can homeschool their children for free, spend $100-$200 a year per child or spend up to $2000 a year for a video curriculum. 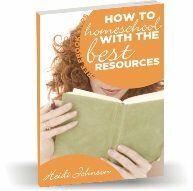 The costs will depend on your child's learning style, your homeschool budget, and your goals for homeschooling. If you give me some idea of what kind of books you are looking for and what your goals for homeschooling are, then I could give you some advice and some more information.